Here, wonder.land is an online world, a virtual reality where people can escape the drudgery of their own lives or pretend to be someone completely different, for a little while at least. 12-year-old Aly is one such person, trying to hide from the bullies at school and the unhappiness at home by becoming Alice, her all-conquering avatar or online identity who accepts a mysterious quest as part of joining wonder.land. And in her journeying, she comes across variations on many of the characters we’ve come to know but viewed through a different prism, many of them being the avatars of other players, balefully reflecting their own insecurities. Rae Smith’s cleverly constructed design work is the real star of the show here, delineating online from IRL with skilful help from Paule Constable’s lighting and augmenting the former with some sensational projection work from 59 Productions who make wonder.land a seductively vibrant place to become addicted to. But Buffini’s book tries to force in a whole lotta story into an already crowded world – the bullying, the separated parents, the rules of the online world and the various people in it, and that’s before the main twist comes with Aly’s Alice being stolen by her menacingly batty headteacher, also called Alice, who herself becomes addicted to the game. Despite the impressively dark beginnings, a scene of real online bullying has a chilling believability, the ways in which Aly’s trials are resolved follow a rather schematic track which lacks any real grounding in the realities of teen life but the determination to have ‘real life’ lessons come out of online activity overrides the more naturally fantastical elements of what is essentially a fairytale. 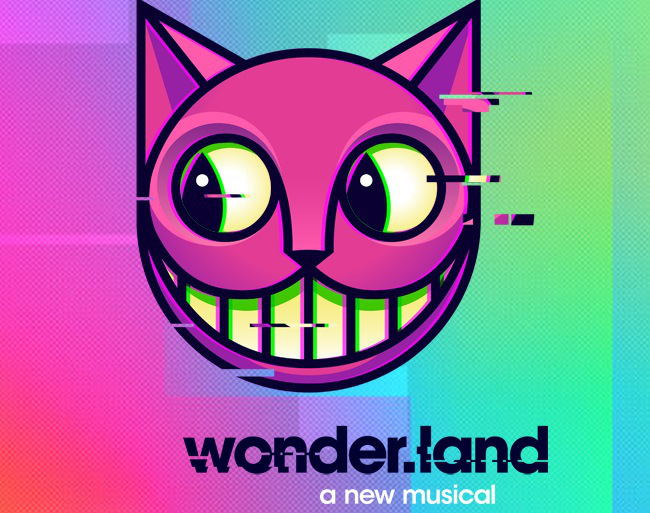 The limited scope of Albarn’s score doesn’t help here either, lacking any concerted sense of identity to help guide us or any real stand-out musical moments in all honesty, despite some vivid staging choices by Rufus Norris, making good use of Javier De Frutos’ choreographic invention. Strong performances lift the material though – Anna Francolini is a vivacious villainess as the malevolent Ms Manxome with her Red Queen pretensions, Lois Chimimba’s Aly is a touching example of teenage angst and anxiety, Rob Compton displays a marvellous physicality as the wordless White Rabbit, and Sam Archer and Sam Mackay make a delightful duo of Dum and Dee. Golda Rosheuvel is excellent as Aly’s harried mother and Paul Hilton’s be-hatted dandy of a dad is well-performed if ultimately a little neutered by the requirements of the story. And it is always a joy to see Rosalie Craig onstage, especially as a live-action video-game character, though it is a shame she will not stay with the production into the autumn as she replaces Andrea Riseborough in As You Like It. So an interesting rather than essential piece of theatre, but one which feels like it could yet mature into something more effective. I look forward to seeing it again in London to see if that happens.